A.B. Davidson [1831-1902], The Epistle to the Hebrews with Introduction and Notes. Edinburgh: T & T Clark, n.d. Hbk. pp.260. 1. The readers themselves.-ln our English Bibles the Epistle has the heading: “Epistle of Paul the Apostle to the Hebrews;” and at the end there stands the remark: “Written to the Hebrews from Italy by Timothy.” In the best MSS. the heading reads simply, To the Hebrews, and the remark at the end is wanting, or agrees with the superscription. The heading “To the Hebrews” is the proper heading of the Epistle, and is found from the time that the Epistle is historically mentioned in connection with other New Testament books. It has been supposed that the Epistle was also known under other designations, as, To the Laodiceans, or, To the Alexandrians, but this seems incapable of proof. Though as old as the first historical mention of the Epistle in connection with other New Testament books, the inscription To the Hebrews does not come from the hand of the original writer of the Epistle. It originated, no doubt, in the course of transcription, and whether it rests on tradition or was suggested by the contents of the Epistle cannot be ascertained. Any one reading the Epistle now would stamp it with the same title, apart from all tradition respecting its origin or destination. The term u Hebrews” is used in a wider and in a narrower sense. In a wider sense, it describes all who were descendants of Abraham, wherever they resided, and whatever language they spoke. In this sense it is equivalent to Israelites and opposed to Gentiles (comp.2 Cor. xi. 22; Phil. iii. 5). In its narrower sense, it describes Jews living in Palestine and using the native language of that country. In this sense it is opposed to “Grecians” or Hellenists, that is, foreign Jews, speaking Greek (Acts vi. 1, ix. 27). There is nothing to determine in which of these senses the term is used in the superscription to the Epistle. The Alexandrians understood by it Palestinian Jews; but this is merely their interpretation, and can hardly be assumed to rest on tradition. The phrase “To the Hebrews” might mean of itself that the Epistle was addressed to all Christians of Jewish extraction; but the local colour of the Epistle is very distinct, and the allusions are of such a kind as to make it certain that the Epistle was addressed to “Hebrews” in a particular locality. No allusion is made in the Epistle to Gentile believers, and this seems to imply that it was written to a community consisting exclusively of Jewish Christians, or one at least in which the Hebrew element very greatly predominated. The Author’s view is no doubt that the Hebrews to whom he writes are the true and rightful successors of the Old Testament church; they are “the People” of God, and they are so as believing Hebrews. But this way of regarding them, even though it be based on principles recognised in other New Testament writings (Rom. xi. ), would have had something unnatural in it if they had been a minority in the church or circle of churches to which the letter was addressed. Thus all the information which we gather from the inscription to the Epistle is, that it was addressed to Christian believers of the race of Israel-a conclusion which we could have reached apart from any inscription. Alfred Plummer [1841–1926], A Commentary on St. Paul’s First Epistle to the Thessalonians. London: Robert Scott, 1918. Hbk. pp.116. Click here to download in PDF. 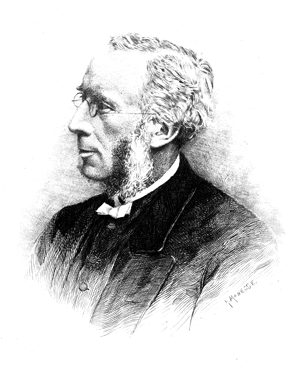 Alfred Plummer [1841–1926], A Commentary on St. Paul’s Second Epistle to the Thessalonians. London: Robert Scott, 1918. Hbk. pp.118. Click here to download in PDF. A Commentary on St. Paul’s First Epistle to the Thessalonians. The Epistles to the Thessalonians do not tell us a great deal about the city in which these most interesting converts of the Apostle of the Gentiles lived; but what they tell us harmonizes very well with what we learn from other sources. The passage of the Gospel from Asia to Europe is a momentous event in the history of the Apostolic Age; and it took place when St. Paul, in obedience to what he believed to be a Divine command, ‘set sail from Troas’ and came ‘to Philippi, which is a city of Macedonia, the first of the district, a Roman colony’ (Acts xvi. 8-14). To us this means the spread of Christianity from one continent to another. But that is not the way in which it is regarded in the N.T., in which the word’ Europe’ does not occur, and in which ‘Asia’ never means the continent of Asia. The Apostle of the Gentiles and his historian, St. Luke, seem rather to have regarded the event as a passage from Eastern to Western civilization, an advance from a world in which the best elements had centred in Judaism to a world in which the best elements were found in the art and thought of Greece, and in the political and military organization of Rome.